SD-WAN creates an overlay atop businesses’ wide area network connections. That provides a unified way for these organizations to employ and manage those links, which may include cable modem-based broadband, DSL, MPLS, or wireless connections. As a result, businesses can use any or all of their connections when they see fit. That allows them to pick-and-choose between access suppliers, save money from using the most cost-effective carriers and routes, enjoy better performance, avoid idle resources, and benefit from added resilience. That said, there are clearly a wide array of reasons businesses are ­– and are considering – embracing SD-WAN. And one of the decisions they need to make as they adopt this popular new technology is whether to purchase and implement it themselves or engage with a managed service provider to gain these benefits. Of course, on-premises deployments require more work on the businesses’ behalf. In this model, the business needs to select the SD-WAN solution from what has become a fragmented marketplace. They need to implement that technology. And they need to manage it on an ongoing basis. Those that choose managed services options, meanwhile, offload a lot of the work to their MSP. Even so, businesses need to some due diligence in selecting an SD-WAN managed service provider. Lee Doyle of Doyle Research suggests IT leaders considering SD-WAN as a managed service should figure about how MSPs they’re looking at guarantee application performance, especially for critical applications. They need to look at the ease with which they can alter their application prioritization profiles. 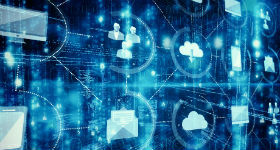 Doyle says businesses should also ask MSPs how their offers connect to cloud-based applications and SaaS (News - Alert), and how they do prioritization related to them. Cost, management dashboards, reliability and service-level agreements, security, support for different connectivity types, and support and customer satisfaction scores are other topics that SD-WAN shoppers should inquire about, adds Doyle. A recent Network World article notes that larger organizations tend to have the resources to do things, like SD-WAN, in house. However, that doesn’t mean all of them are opting for on-premises deployment models. It points out that Capital One’s (News - Alert) SD-WAN deployment involves a hybrid approach.